Buid Positive Attitude: Ensuring that studentes have a positive attitude to learning is the key to their success. Thorugh a series of high-interest topics, challe, and reflective activities. Attitude engages students in a learning experience thatis both meaningful and relevant to their current reality. 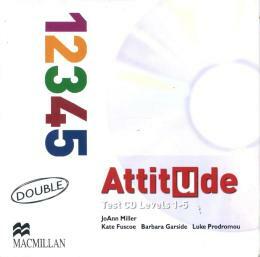 Develop with Attitude Attitude introduces a unique focus on the development of study and writing skills, empowering students to become effective learners through awareness-raising activit.